100 % Cotton Unisex Navy T-Shirt. 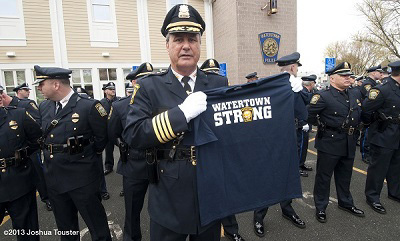 Profits from your purchase of this commemorative T-shirt will go to the Watertown Police Foundation, to provide broad support for the public safety mission of the police, including suicide counseling, training and support services to deal with extraordinary stresses of the job such as those experienced recently. Please allow 10-15 business days for delivery. 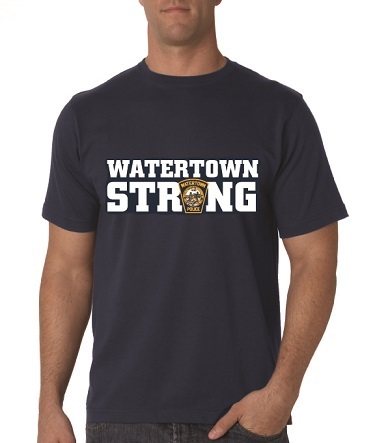 $4.00 S+H will be added per shirt at checkout.